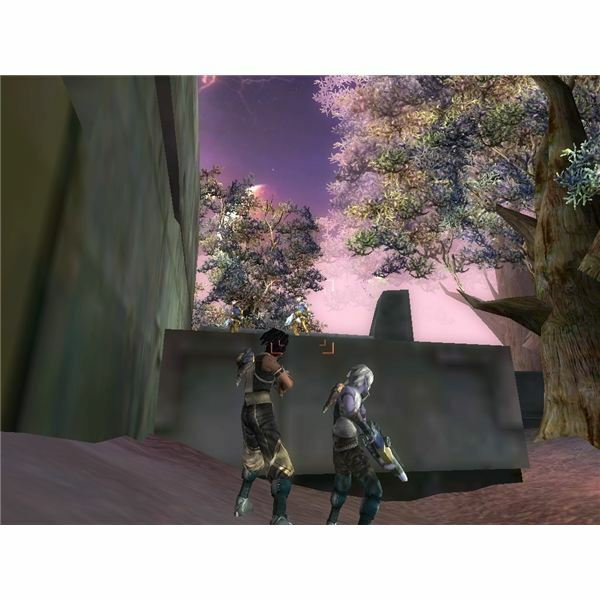 This is a Argo Online Kelloare City guide to help new players play through the starting area of Kelloare for the Floresslah side. This guide will also take on a few adventure quests along the way. So if you have already made it past the starting area, then your last mission should have been going to town and talking to Ahkilri Savitos. After you talk to her the first time, talk to Ahkilri one more time to gain a new quest. If you don’t know where she is located she is standing near the center of the Kelloare square. She will give you a mission to talk to your class mentor, this person varies for every class but they are only a few steps away from your current location. After you find them, talk to them to get started. Your Mentor will first explain to you what is happening in town, when you are done talk to your mentor one more time to gain the quest to eliminate 10 of the wild apes that are located just outside of town to the south. This is an easy task and you shouldn’t have any problems finding and killing the apes. Once they are dead report to Garania Twheroo at the Grania Keret’s farm, which is located just west of the Apes to complete your quest. Talk to Garania one more time to gain a new quest to eliminate 6 Big Spined Boars and 1 Chief spined boar, both types are just west of where Garania is standing according to the map (or just above her if you aren’t using the map). Once they are all dead report back to her to complete the quest. If you have already made it to level 6, then Garania will have one more quest for you to go hunt down some Boahkure and bring back 10 of their leathers. The Boahkure aren’t far from where you are, some are a bit south from your current location and a few more are out west mixed among the other monsters. The drop rate varies with the leather, so this quest may take some time. I should also point out that there is a small glitch in the game where you will accept the quest, but the items never drop. If this happens simply log out of the game and log back in, you may have to reaccept the quest before it starts counting the kills correctly. The Boahkure you see closest to the farm are the right monsters, so just keep killing them until the items drop. When you are done report to Selreorin Telrem to complete the quest. Selreorin is at the Mabeulrun’s farm, just a little bit south from the Grania farm. Now talk to Selreorin again to receive the quest to eliminate the Red Maned Ferro, which is at the Hymn of Mabeulrun to the west. They are pretty easy to kill so you should be able to get through this quickly. After you kill 6 of them report to Mabeulrun Telrem to complete the quest (He is also at the Hymn of Mabeulrun). Talk to Mabeulrun Telrem one more time to gain the quest to eliminate one Wild Red Maned Ferro, they are just to the right from where Telrem is standing, mixed among the normal Ferro. Don’t worry; they are easy to kill as well so this quest is simple. Once done with the Ferro, you will now have a talk with Bovis Padekia. He is standing next to Telrem. Bovis will ask you to eradicate 10 annoying Canis. The Canis are located near the Goat Capra’s ranch, which is just west of the Ferro. Remember the Canis at the tutorial zone? Well these are equally as easy. 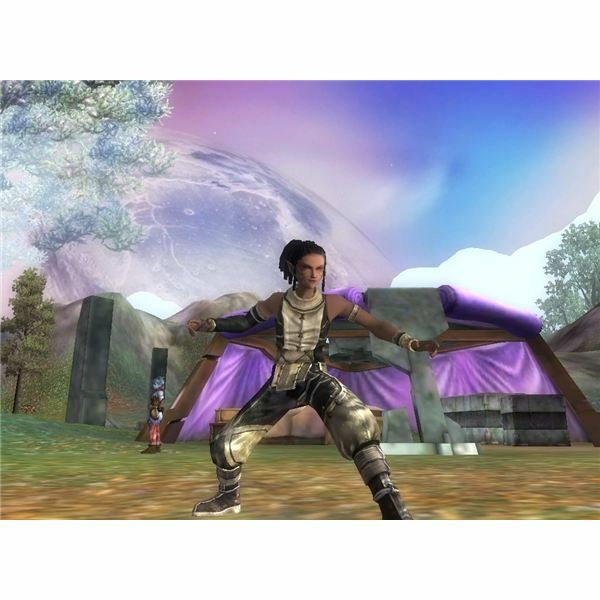 Once the Canis are defeated report to Pina Diecurse, she is standing just below the Capra ranch. Talk to Pina once more to gain the quest to eliminate the Alpha wolf that is terrorizing her farm, along with 10 of the other big wolves that are in the area. Head south from where you are to find the wolves in the farm field. They can take a lot of life if you are not careful so activate the Bucket’s defense function if you have to. Once they are all killed report to Goat Diecurse to complete the quest, he isn’t hard to find because he is just north east of his farm standing on a small path just off of the main road. Now Goat will give you two quests that you can complete only if your level is high enough. The first mission is to fix the broken generator in his backyard; just click on the generator to repair it. The second mission is to help the injured people that are out in the fields. They can be a pit tricky to spot, but there is an easy way to locate them. The first injured man is back near the Goat capra’s farm resting near a large tree. Check the map to find him, he is at the very far west corner of the map near the farm’s icon. The other injured man is just south of the first man resting near a smaller tree. Once you find both men report back to Goat to complete the quests. Both of these quests will give you a Dori Dori box item. Now to finish these quests! You next task is to go talk to Daniel Louis who is located at the south of the Capra farm. He will ask you to defeat the 5 rambling Sahreuki that are in the nearby area to the south of the house because they are making it difficult for him to hunt. All of the monsters in this area are a piece of cake so dispose of them and move on. Once they are all dead report to Penelro Cruises to complete the quest. Check the map to find him; he is literally at the front entrance of where the Capra farm is located near the road. If you talk to Penelro again, he will give you a new quest to kill 5 small-wing Maekpi. The Maekpi are located back near the Mabeulrun’s farms on the east side of the map. Once they are dead head over and talk to Fergie Lawrence back near the bridge of Kelloare to complete your final mission. After that all you have to do is report back to your Class mentor again inside of Kelloare’s town square and tell them that you successfully helped save all of the farmers. If you did the missions correctly you should now be around level 9, and should be high enough to move on to the next set of missions. You can find more Argo Online guides right here at Bright Hub, along with quest walkthroughs and beginner tutorials for other popular MMORPGs.